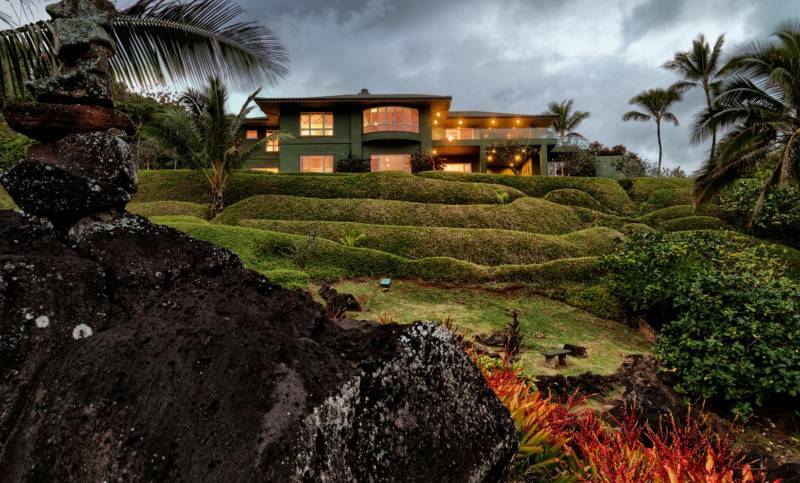 Listed for sale at $19,000,000 (more information at NealNorman.com). 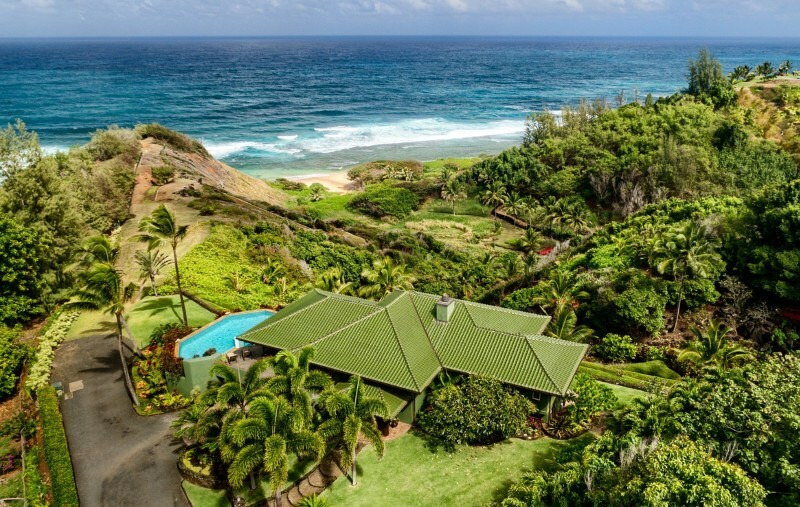 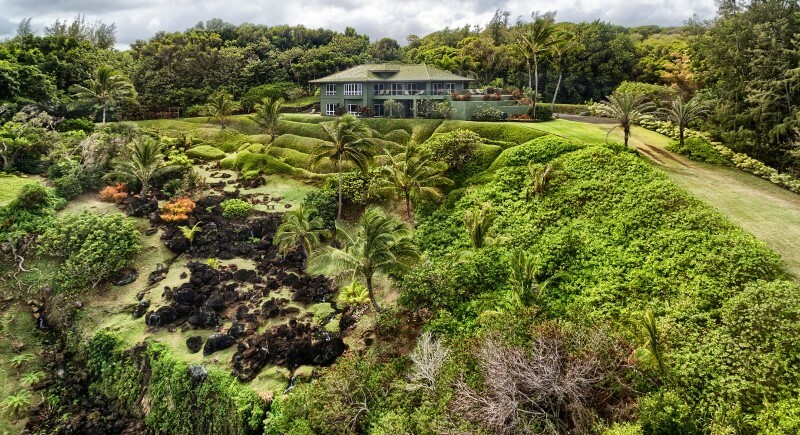 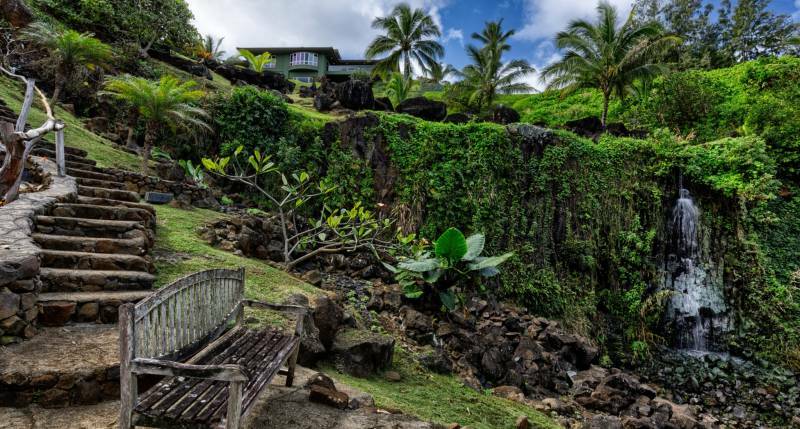 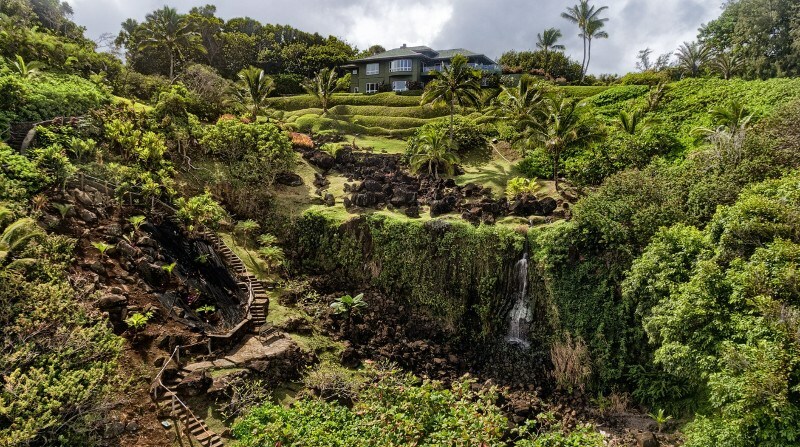 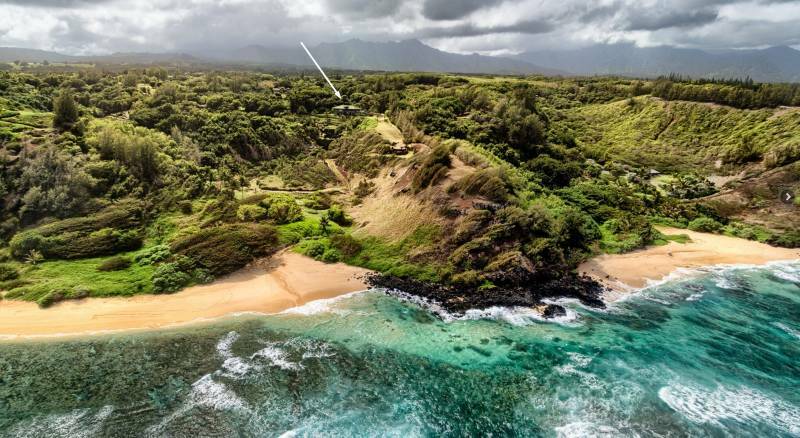 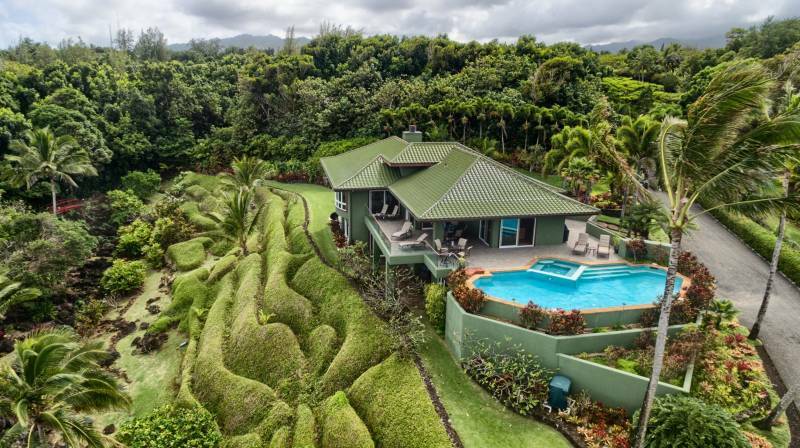 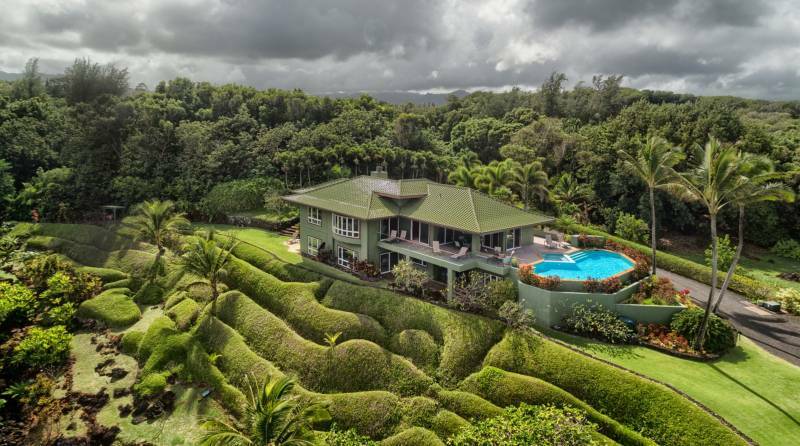 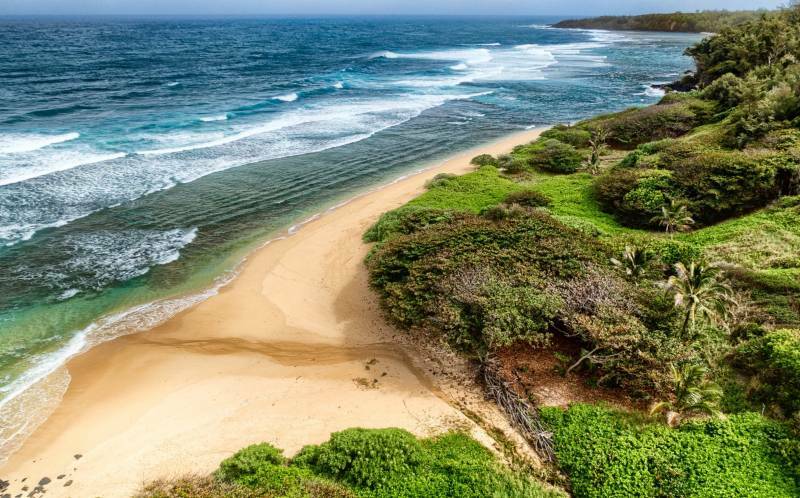 This is an incredible real estate opportunity on the North Shore of Kauai. 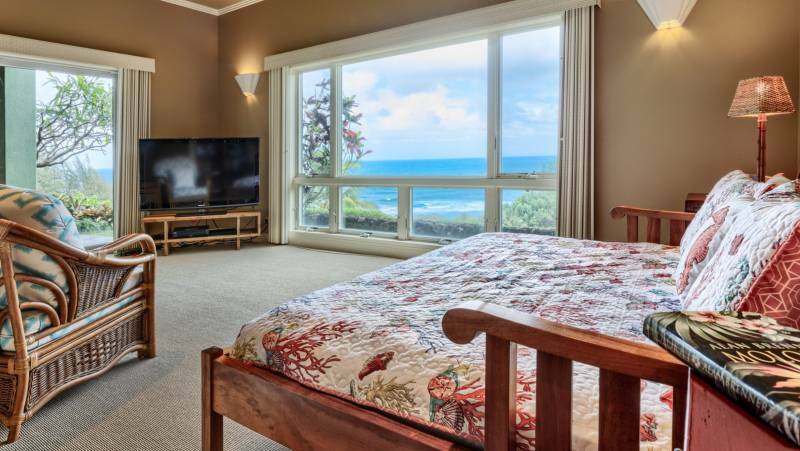 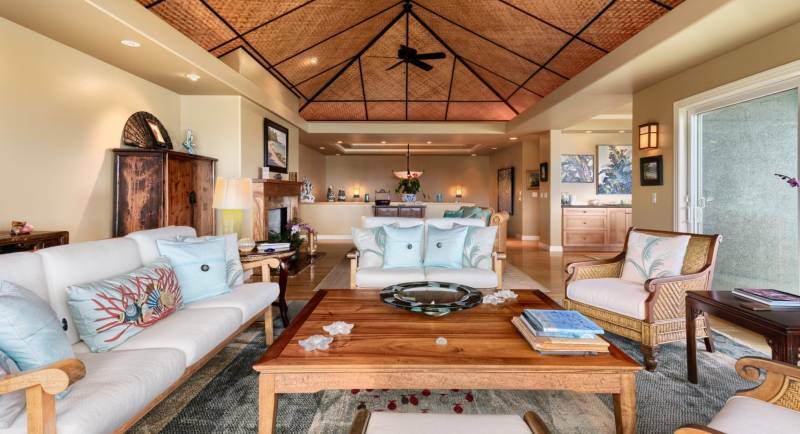 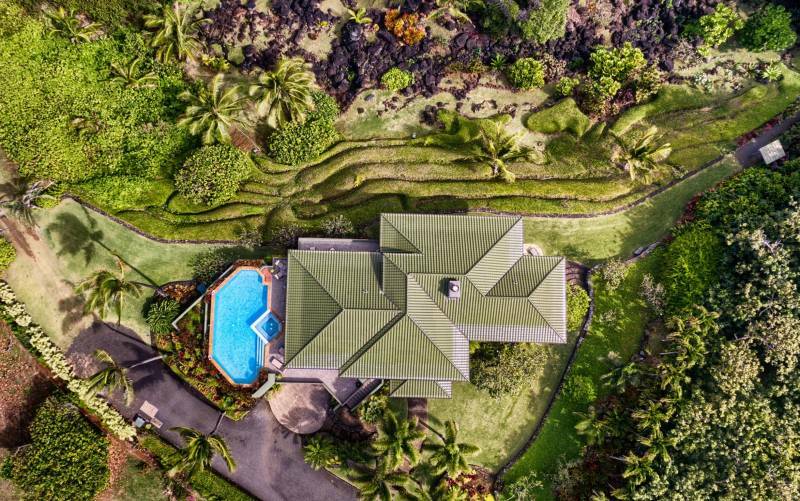 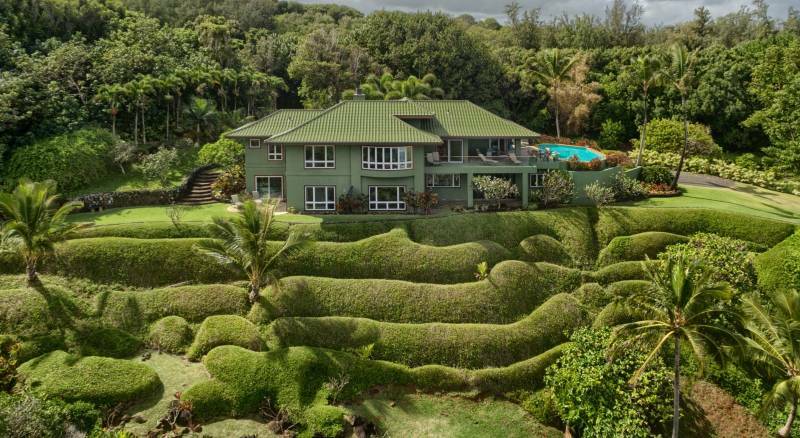 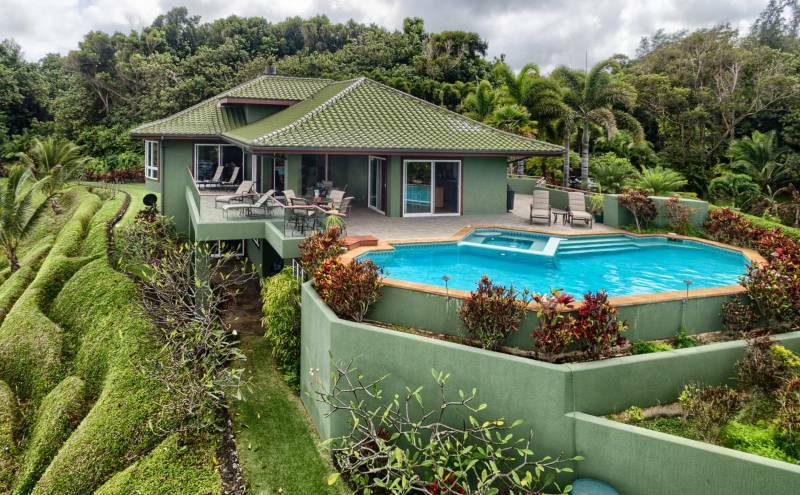 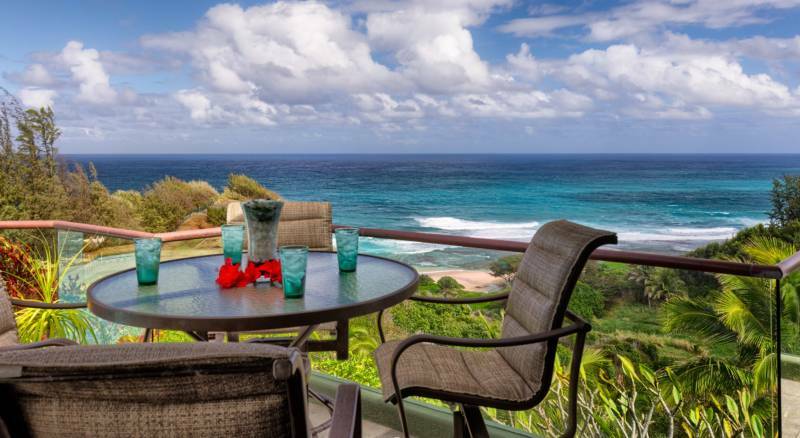 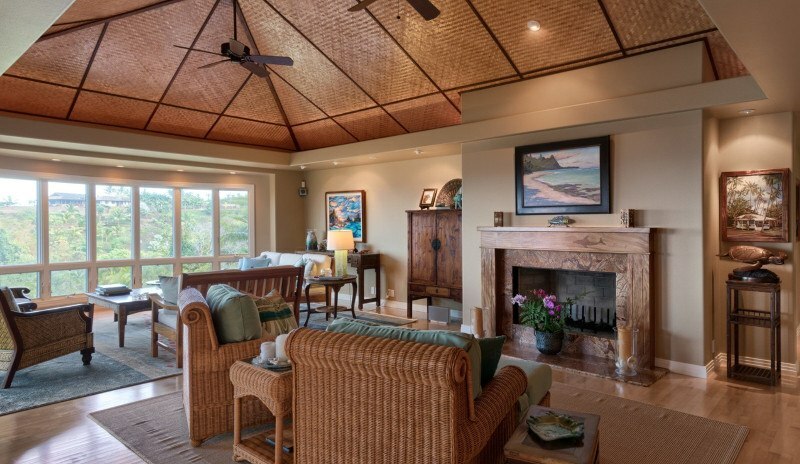 Perched above Waiakalua Beach in Kilauea with over 2,200 linear feet of sandy frontage, this 4 bedroom/4 bathroom home is one of our finest off-market, pocket listings. 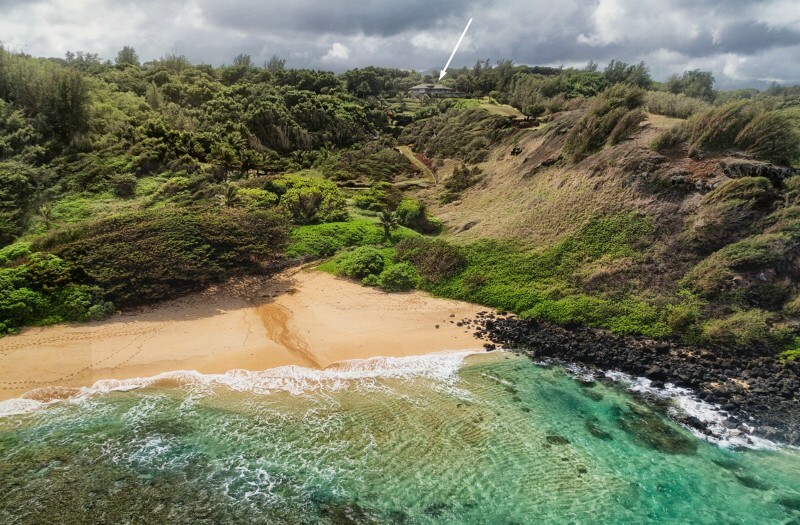 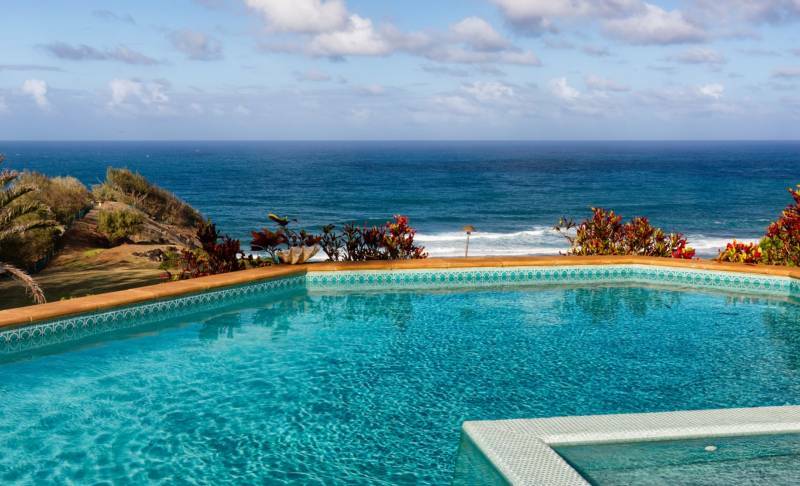 This is not your typical beachfront property: a more than 21 acre estate with 2,238 linear feet of oceanfront land bordering a secluded, sandy beach. 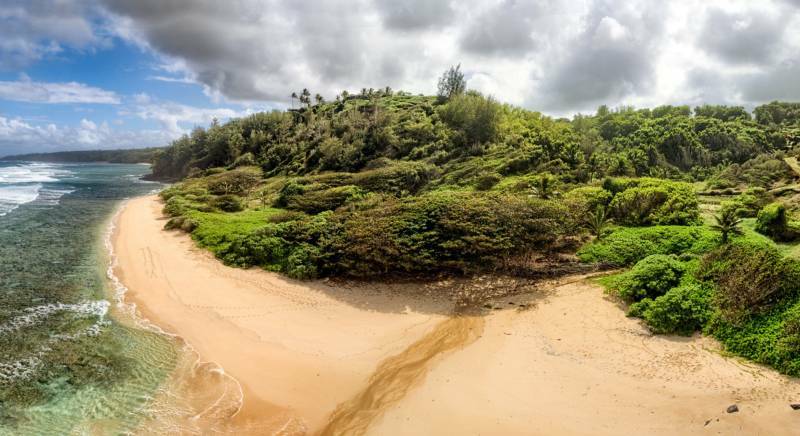 As in the photo above, this is often the condition of the beach below — a completely empty and majestic setting. 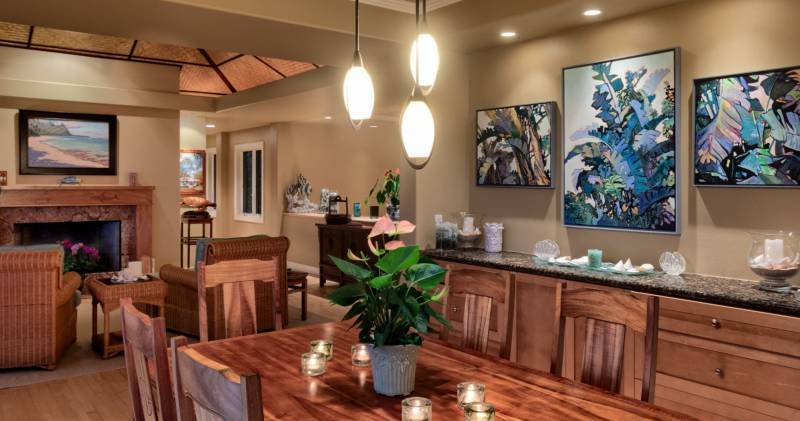 The nearly 4,500 sq.ft. 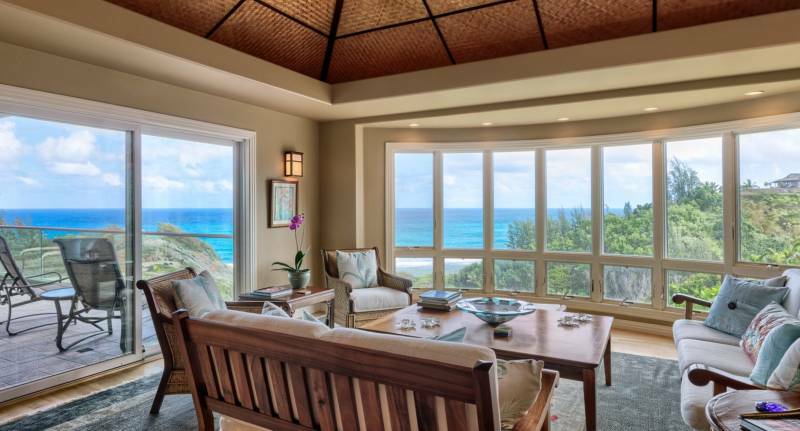 home, sitting atop a ridge, is positioned to take full advantage of the property’s incredible visual surroundings. 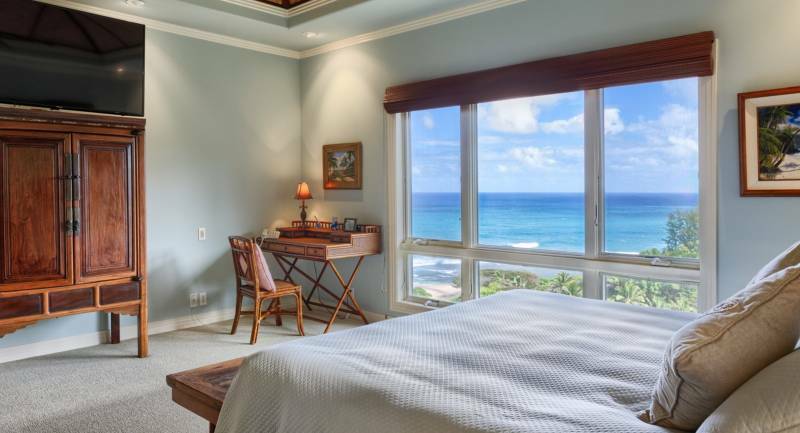 Bedrooms, bathrooms and living areas all have excellent, expansive ocean views. 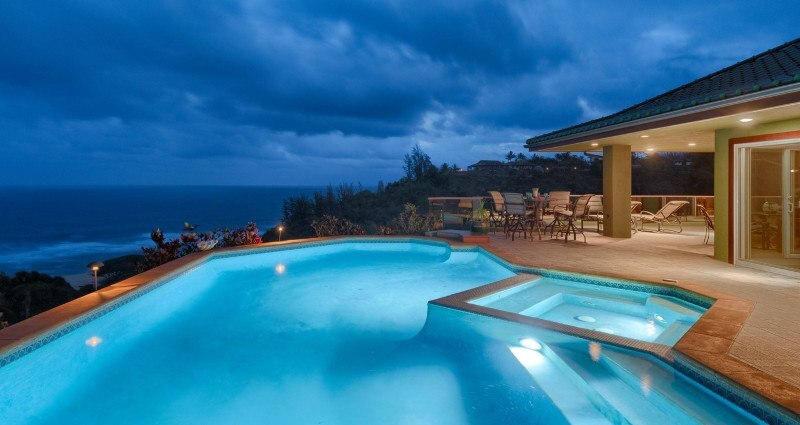 The home also features a beautiful pool with a hot tub and large outdoor entertainment area. 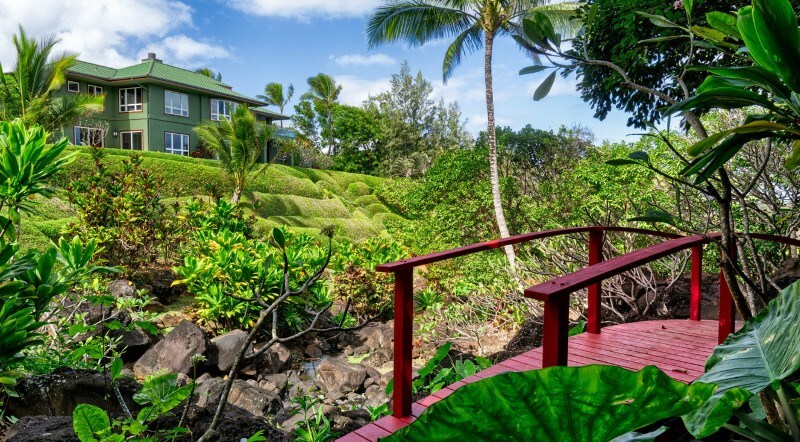 The short walk across the property to the sandy beach below takes you by the property’s own waterfall and garden of native flora. 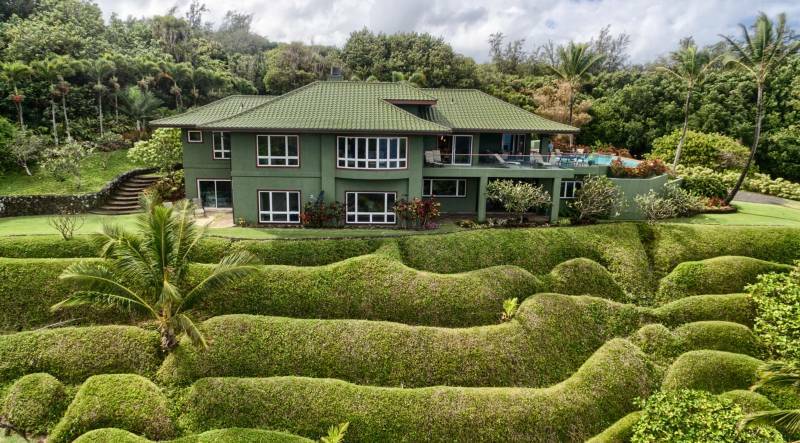 This is truly a one of a kind property. 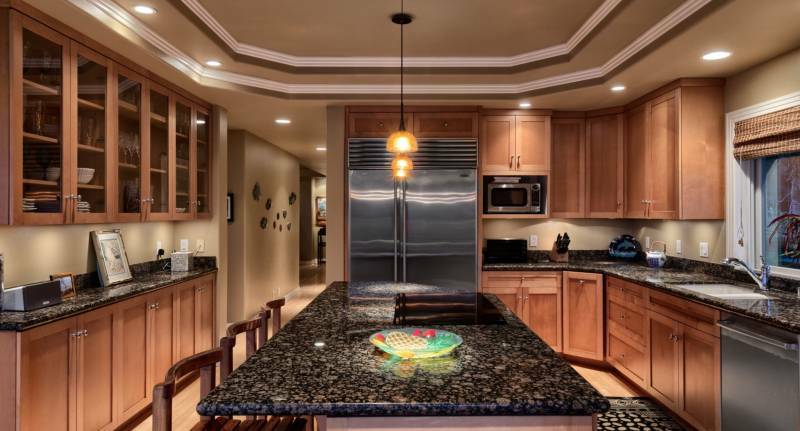 Contact me for additional information. 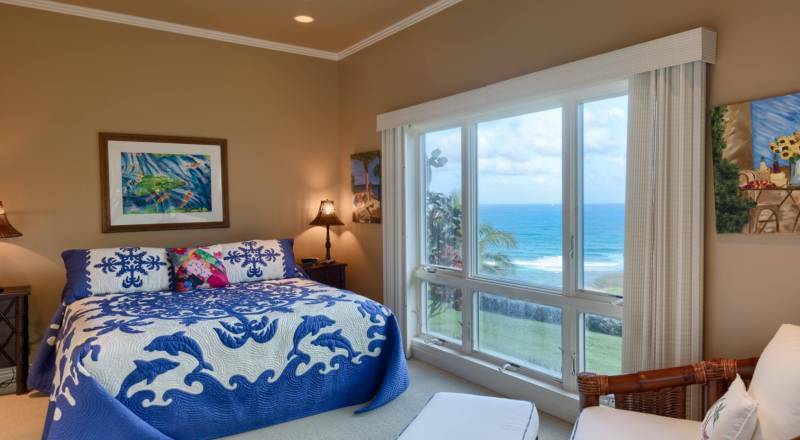 Neal Norman is a REALTOR(B) with Hawai'i Life. 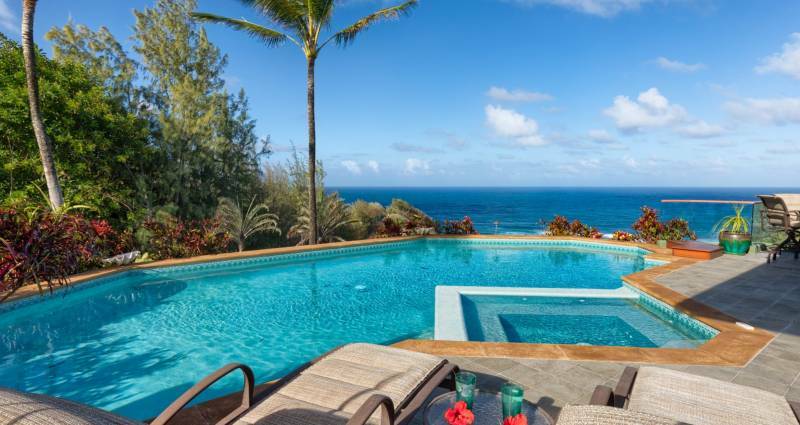 You can email me at	neal@hawaiilife.com	or via phone at (808) 651-1777. 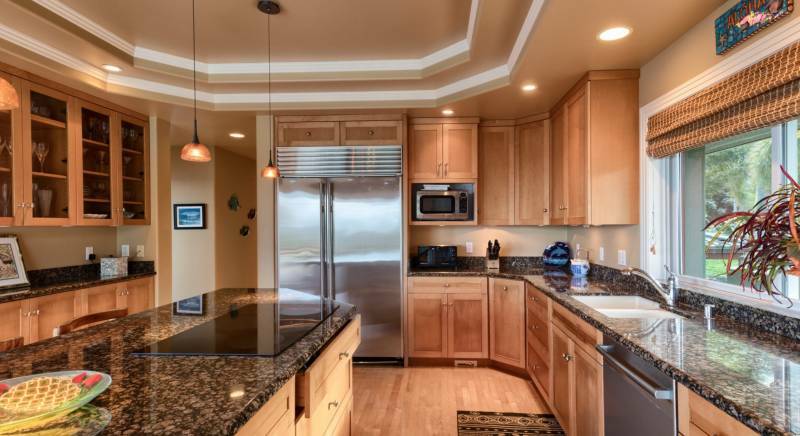 I like it alot, Neal. 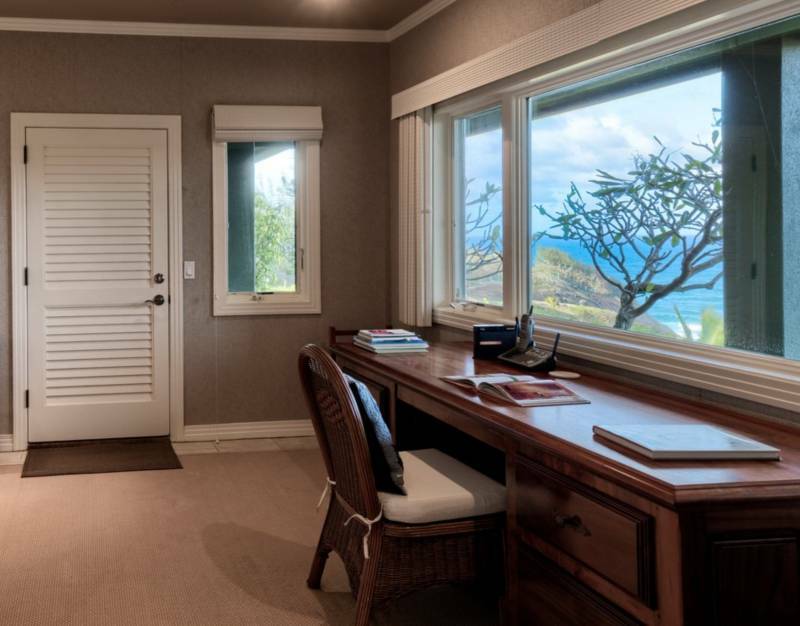 Sign Diane & I up to be caretakers, if & when they need someone qualified for the job.